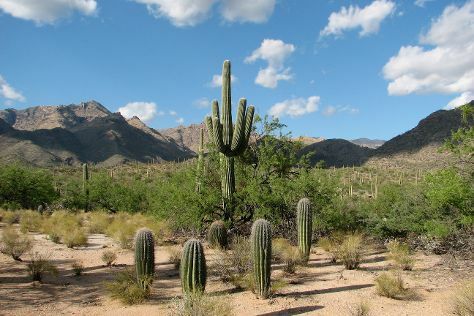 Bring the kids along to Boyce Thompson Arboretum and Biosphere 2. There's much more to do: take in breathtaking views at Sabino Canyon, take in the history at Mission San Xavier del Bac, take a memorable drive along Mt. Lemmon Scenic Byway, and admire nature's wide array of creatures at Reid Park Zoo. For traveler tips, where to stay, photos, and more tourist information, read our Tucson trip planner . If you are flying in from Japan, the closest major airport is Tucson International Airport. Expect a daytime high around 45°C in June, and nighttime lows around 26°C. Wrap up your sightseeing on the 5th (Wed) early enough to travel back home.